Colorado Parks and Wildlife diligently works to monitor and maintain these populations for the benefit of all wildlife in the state. The Non-game and Endangered Wildlife program supports species conservation for black-tailed, white-tailed and Gunnison prairie dogs, native cutthroat trout, bats, boreal toads, Gunnison sage-grouse, lynx, black-footed ferrets, Arkansas darters, and dozens of other species. "Non-game species are indicators of a habitat's overall health," said Reid DeWalt, Assistant Director of CPW's Wildlife and Natural Resources branch. "CPW is vested in the long-term sustainability and balance of wildlife for future generations. Doing so is not without cost, and will be done only with the support of all outdoor recreationalists." Establishing new populations of Colorado's most endangered amphibian, the Boreal toad. CPW recently submitted a Final Draft of the State Wildlife Action Plan (SWAP) to the U.S. Fish and Wildlife Service for approval.The SWAP identifies the top priority species and habitats that need conservation efforts in the state, as well as the potential conservation actions that can address the threats these species and habitats face. Learn more about CPW's SWAP at http://cpw.state.co.us/aboutus/Pages/StateWildlifeActionPlan.aspx. 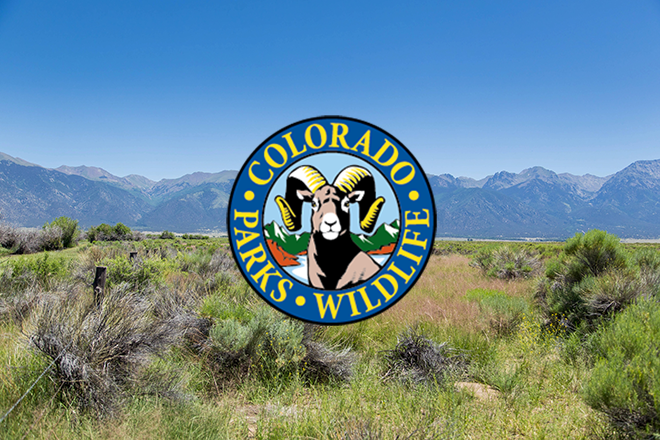 The "Non-game and Endangered Wildlife Cash Fund" checkoff box is located under the voluntary contributions section of the 2015 Colorado state income tax form 104A, line 50. Contributors specify the amount of their donation. Donations may be tax deductible. In 2014, Coloradans contributed more than $150,000 to help a variety of species through the tax check off. In 2013, approximately 11,000 taxpayers contributed an average of $13.83. Contact CPW's Communication Center at (303) 297-1192 for more information.